One of the most important aspects to no risk matched betting is keeping track of all your matched betting information and data. Once, a time consuming task, this is now easier than ever with special tools and software that can do this automatically. Find out how Tracking Plus from The Sure Bettor can help you record the required information and increase your matched betting profitability all at the same time. Matched bettors place a lot of bets each day. More experienced matched bettors can sometimes place up to 10 bets in a single day. With that comes a lot of information to remember all at once. It’s therefore crucial to jot down what bets you’ve got on. Making money is the reason you start matched betting in the first place. It’s great to track the profit from each matched betting offer you complete, so that you can work out your overall profit. It is a great way to work out which offers you make the most money from so you can dedicate your time on the most valuable and profitable offers. With each bookie account comes a different set of usernames and passwords. Over time you’ll build a huge bank of different betting websites and therefore a lot of passwords to remember. Whilst modern technology allows web browsers to save your usernames and passwords, we still recommend you jot this information down. Some accounts also have a security question which your browser can’t remember for you. Remember that ink outlasts the longest memory! Instead, we suggest you consider our brilliant feature called Tracking Plus. Allows you to keep everything ‘matched betting’ in one place. Never lose your profit spreadsheet or matched betting history again. Easily track each offer you complete with a few clicks of your mouse. Record your profit from each offer. Everything is done for you. With a few clicks of the mouse your data is recorded hassle free. Visualise your data in customisable graphs and tables. Allows you to spend more time completing the matched betting offers, to make more money online. The whole point of matched betting is making as much money as possible from bookmakers free bets and promotions. The more offers you complete, the more money you make. With Tracking Plus, you’ll be able to concentrate on what you’re great at, completing the latest matched betting offers and enjoying the profits. We all need goals to aim towards. That’s why we added an awesome target function within Tracking Plus. This allows you to set a target for the next three months and to see exactly when you have achieved your goal. You can easily change your target from within your members area to make this challenging and fun. Within Tracking Plus you’ll be able to see your matched betting history and profit, as long as you’re a member with us at The Sure Bettor. We display your matched betting history in a table within your account. We’ve allowed for great customisation, so you can track down a specific offer you completed and find out how much profit you made. You can filter by bet type or bookmaker. We didn’t stop at tracking your data, we wanted a way for you to visualise and interpret your data in a more comprehensive way. That’s why we added a number of graphs that show your monthly and overall profit. These graphs are great for checking how successful your matched betting has been and comparing it to previous months. We hope you love Tracking Plus as much as we do. We know how tedious tracking your bets manually can be so we wanted to create an all in one tool, to solve this problem and to allow you to make more money online, using no risk matched betting. Thanks to tracking features like Tracking Plus, matched betting is now considerably more profitable than it was in the past. There has been no better time to get started with this no risk betting technique. If you have any questions about Tracking Plus or anything else matched betting related don’t hesitate to get in touch with us or check out some of our other brilliant articles by heading to the learn more section at the top of this article. 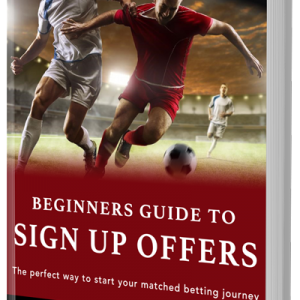 If you’re new to the world of matched betting we offer a comprehensive free trial. For 14 days you’ll get access to our matched betting tools and our customer support service – and there’s no payment required. If you’re looking to get serious and make some real tax-free profit, sign up for our premium service – available as a yearly one-off payment or convenient monthly payments.